Item Number: 132-1-120 18633 Actual Weight: 11 lbs. Designed to protect temperature-sensitive products. 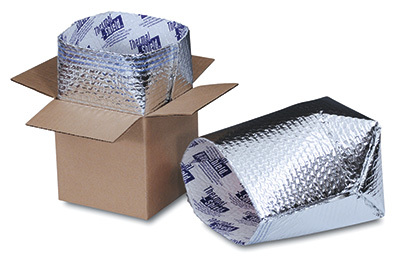 Thermal-Shield is flexible, leak resistant, and will not crumble, crack or break. Its lightweight reflective surface provides resistance against three types of heat flow: conduction, convection, and radiation. 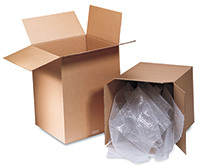 Easy peel-and-seal adhesive strip secures closure and protects contents. Can also be used as a moisture and vapor barrier. Metalized film is laminated to 3⁄16" bubble with an inner liner. Boxes are sold separately.